Mobile Fidelity 180g 45RPM 2LP Box Set is Definitive Analog Version and Intended to Be Passed on to Generations. Epochal 1959 Record the Mt. Rushmore of Jazz Sessions. Dream Team of Davis, Adderley, Coltrane, Evans, Kelly, Chambers, Cobb Make History! How does one properly introduce an epochal record? Perhaps by unequivocally stating that it is the best-selling jazz album in history. Or by affirming that, every year, it sells tens of thousands of copies more than five decades after its original release. There’s also the matter of its status as the most-referenced, and arguably, most important, jazz recording of all-time. And the Dream Team lineup of Miles Davis, Cannonball Adderley, John Coltrane, Bill Evans, Wynton Kelly, Paul Chambers, and Jimmy Cobb. Yes, Kind of Blue is utterly inimitable. 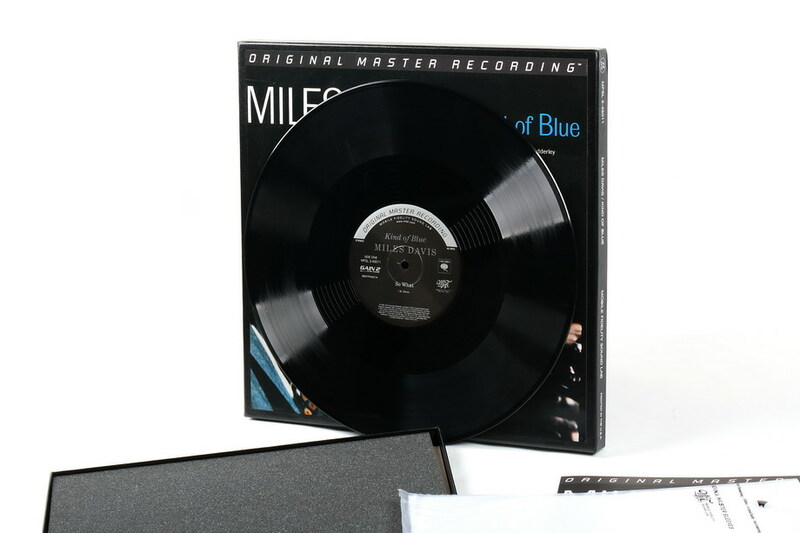 Part of Mobile Fidelity’s Miles Davis catalog restoration series, the landmark has been given the ultimate white-gloves treatment. Half-speed mastered from the original master tapes, and pressed on 45RPM LPs at RTI, this sumptuous box set of the often-reissued album is a must for even fans that already possess multiple versions. Such is the illuminating transparency, reference dynamics, organic warmth, and instrumental detail exposed by the thoroughly scrupulous mastering process. If there’s a stairway to heaven, this is the soundtrack. 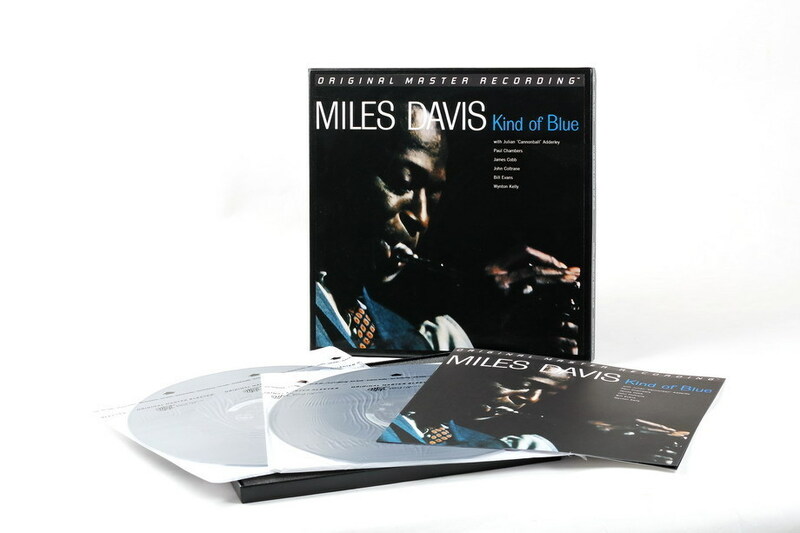 In its three-decade-plus history, Mobile Fidelity has never been prouder to have the honor of handling efforts as important as Davis’ key recordings. It’s why the label’s engineers took every available measure to transport listeners to the March and April 1959 sessions that parlayed modal jazz into mainstream language. The blueprint for melodic improvisation and vamping, Kind of Blue simplifies tonal organization and chordal progression into an eminently beautiful, introspective tapestry stitched with swinging poetry, mellifluous soloing, compositional lyricism, transcendental harmonies, and group interplay of the highest caliber. While no one has ever completely identified the magic behind the record’s allure—the otherworldly nature is part of its inherent charm—much of the success lies with the band members. Davis intentionally handpicked these musicians to comprise this particular cast, with everyone from former foil Evans to blues maestro Kelly to percussive genius Cobb interacting and reacting with peerless skill. 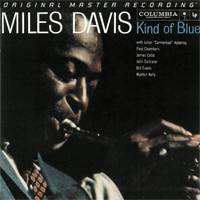 An audiophile favorite from the day it was issued, Kind of Blue takes on nirvanic sonic proportions via Mobile Fidelity’s reissue. The expressive warmth, imaging clarity, frequency extension, and window-on-the-world breadth afforded by this new edition places music lovers right in the studio with the sextet. Close your eyes and, no matter how many times you may have heard it before, your experience will parallel that of the players that recorded these gems. Everyone shares in the excitement of not knowing what will happen and, as the music begins to lie out in front of you, you’ll feel as if you’ve been whisked away to a jazz holy land.